How to Use: Use after cleanser. Apply mask over facial contours, positioning openings over eyes and mouth and place the loops over ears. Leave on for 10 minutes before removing mask. What can I say? I am absolutely in love with this mask!! It's a first time I'm using a lifting mask like this, and it comes across as a real interesting facial mask. It tightens the area not only around your cheeks but also your chin with these innovative loops that you hook around your ear. And at the same time, it will brighten and whiten your skin too. 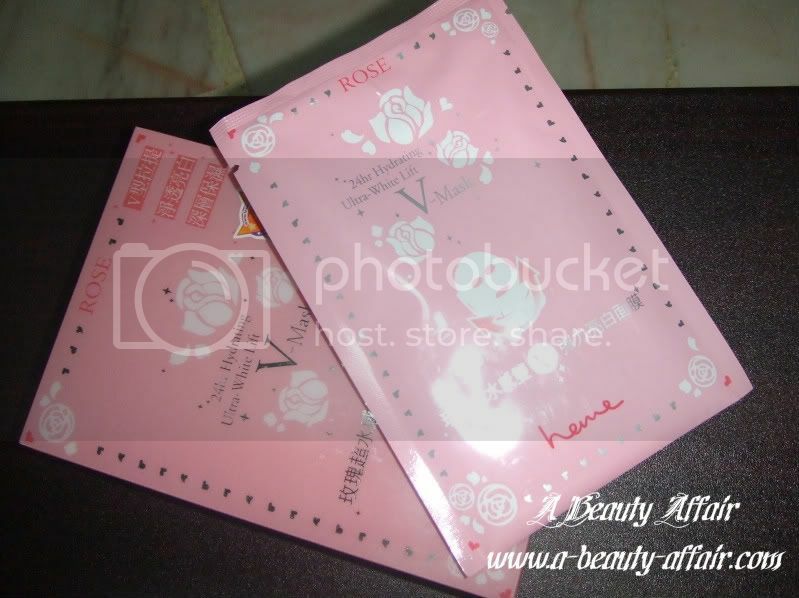 The pleasant rose scent is also therapeutic as you pamper yourself with this indulging treat. 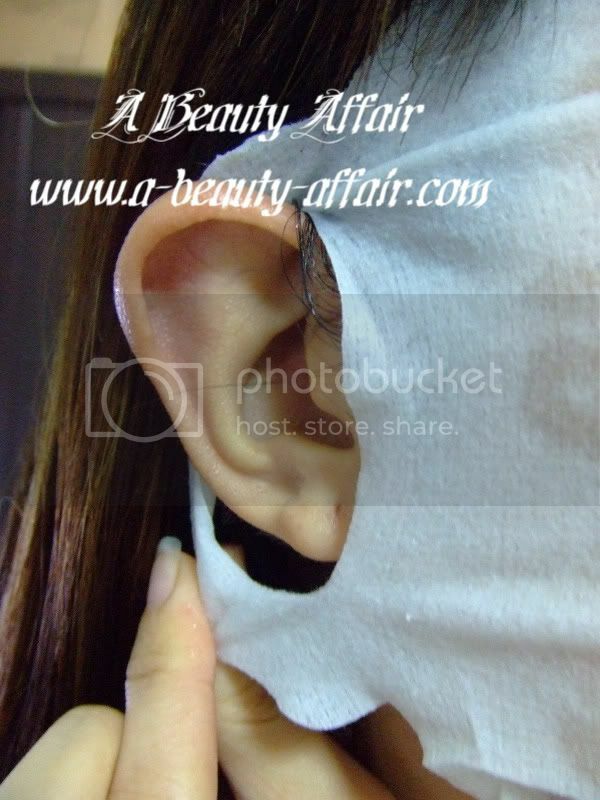 This is the first ear loop which will secure the mask firmly across your cheeks. 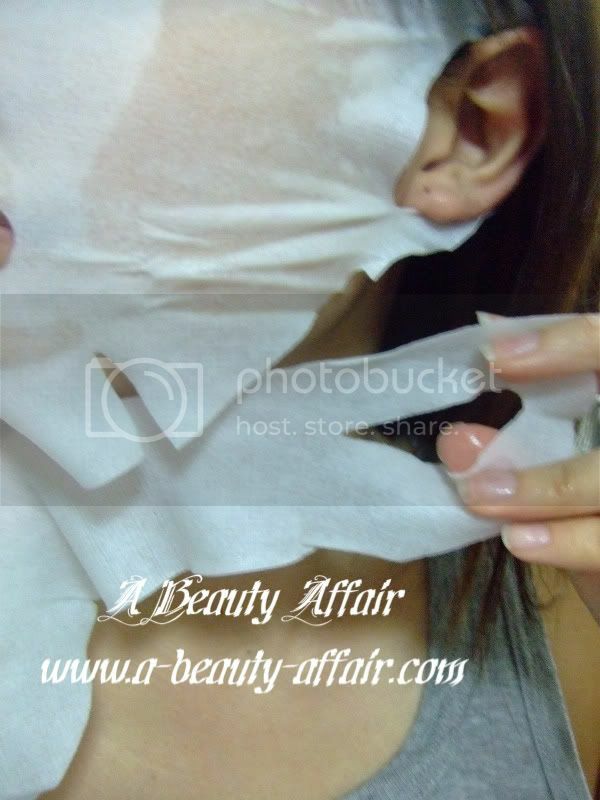 The next one which tightens the mask around your chin to give you the V-lifting effect. Ta-da! And you're done, you can leave it on for 10 minutes but sometimes I forget and leave it on for around 15 minutes instead. 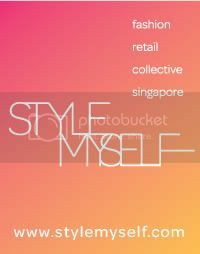 Then I go about doing my own things like watching TV or surfing the net. After removing the mask, your complexion appears brightened up and hydrated. Most interestingly, your face looks sharper. Hence, I believe with regular usage this could pretty much shape up your face and reduce puffiness due to water retention.